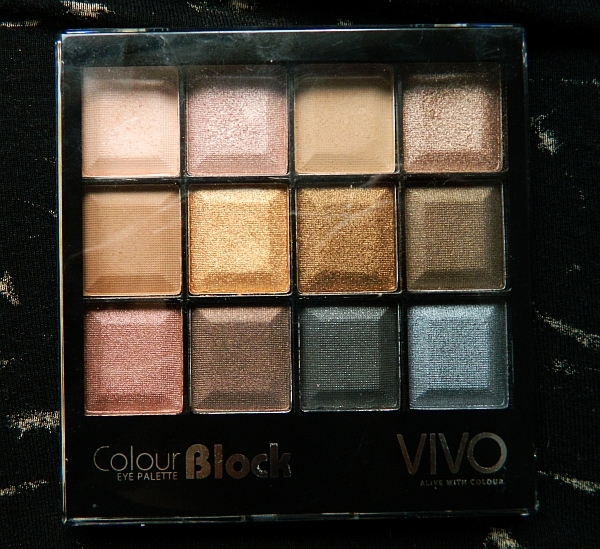 I picked this eye palette up by Vivo Cosmetics when I was at Tesco a week or so ago. I actually bought it on a whim as I needed an eyeliner and it just caught my eye. To be honest I had never even heard of Vivo Cosmetics before so I wasn't sure what I was picking it up but at £3.99 I decided if it was rubbish it wouldn't be the end of the world. I couldn't have been more wrong. 'Unprotected' by Vivo Cosmetics has quickly become my go-to eye palette, with a shade to suit every occasion. Sorry for the creepy eye pictures but I thought you'd wanna see a few swatches?! As you can see from the images the Unprotected palette features 12 shades all of which have really lovely names: 'Escape' 'Forever' 'Flutter' 'Today' 'Wisp' 'Flow' 'Adore' 'Relax' 'Engage' 'Devine' 'Free' and 'Awaken.' 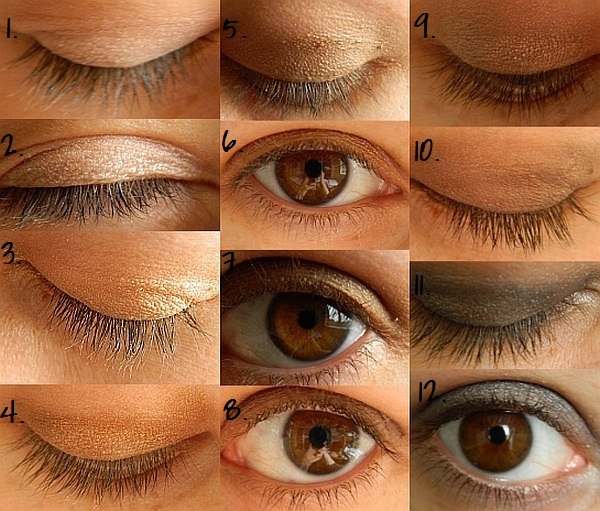 All of the shades are fairly neutral with a couple of smoky grey / blue shades perfect for nights out. 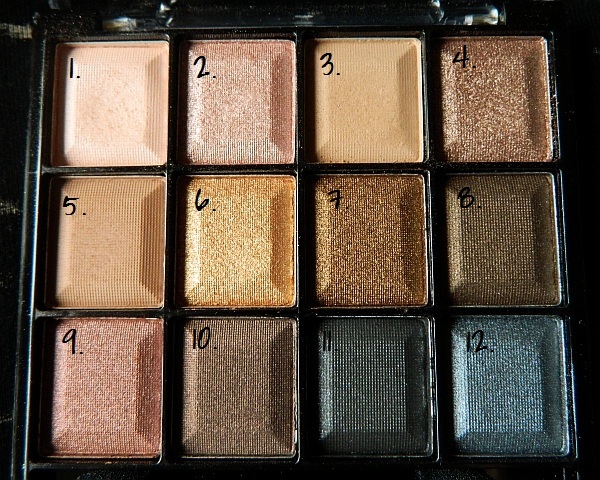 Neutral eye shadows are always my colours of choice as they are so wearable. The colour block palette includes three matte shades (Escape, Flutter and Wisp) and nine shimmery (but not glittery) shades. I apologise for the slightly poor swatches, it was my first time doing them and I didn't realise what a pickle I'd end up getting myself into haha! I hope they give you a general sort of idea of what some of the colours look like. I have been wearing the first six eye shadows a lot and particularly love wearing Escape and Forever together / Flutter and Today. I'd definitely say the eye shadows wear well, even without a primer (photos taken without primer). They are nicely pigmented and I've found them fairly easy to blend together. 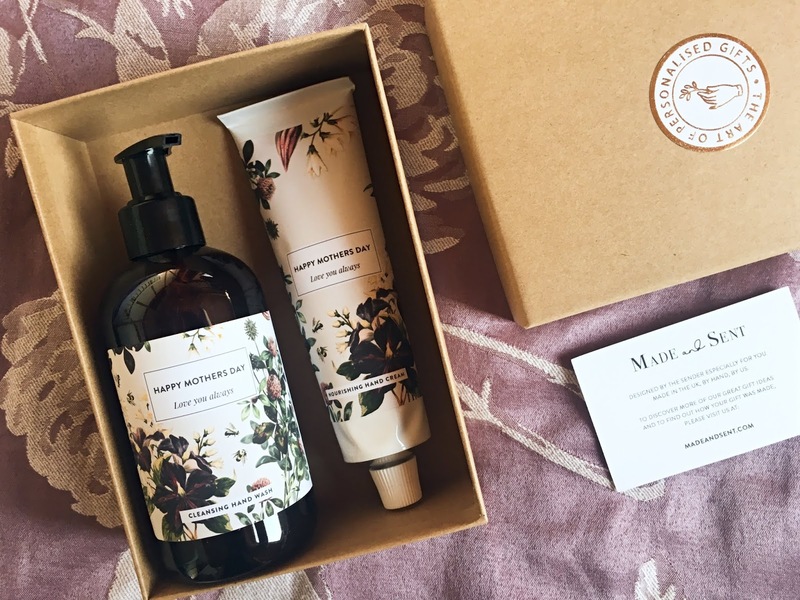 The packaging is really simple and just the right size to slip into your handbag. If you are into your neutral shades and desire a little shimmer for the summer, then this is the perfect palette for you! 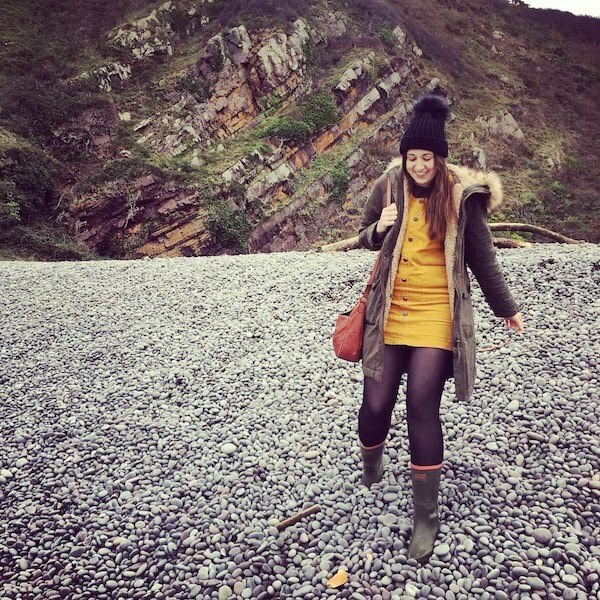 After joining in the #bbloggers general beauty chat last night a lot of people were saying they wanted to try this out, so I hope you find this review useful! The baked blush was also recommended to me so I am definitely going to be trying that out. 'Peaches and Cream' looks absolutely divine. Vivo Cosmetics is exclusive to Tesco and you can find it in a store close to you by checking the store finder on their website. If you prefer doing your beauty shopping online you can purchase directly from the Vivo Cosmetics online store. Feel free to let me know if you have tried any Vivo Cosmetics and what you think of them. I will definitely be adding more of their products to my makeup bag in the near future. I love it when you find a low-price makeup brand that still offers excellent quality products. Wow this looks very very nice, next time I'm in a big Tesco I will certainly keep my eyes peeled for this little baby. I can't believe it's from Tesco! It looks lovely!